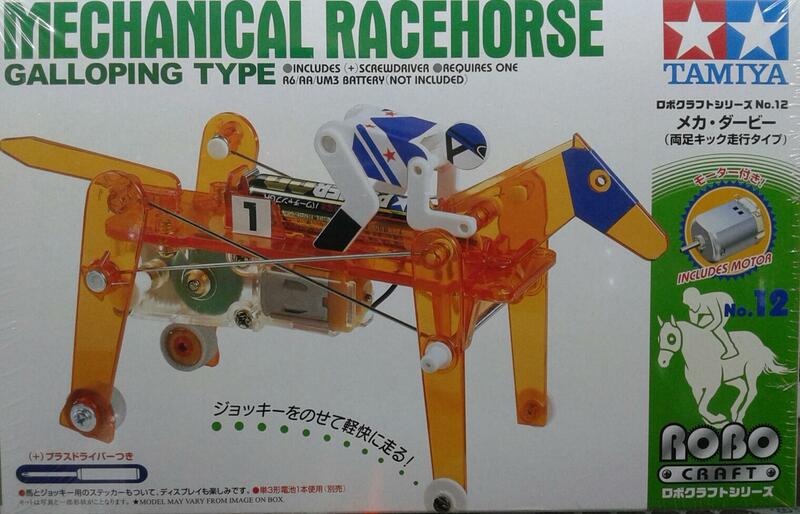 MECHANICAL RACE HORSE GALLOPING TYPE. CABALLO DE CARRERAS MECANICO. PUEDE GALOPAR MOVIENDO LOS MIEMBROS TRASEROS AL MISMO TIEMPO PARA IMPULSARSE. HECHO EN ACRILICO TRANSPARENTE PARA OBSERVACION DEL MOVIMIENTO. ROBO CRAFT SERIES. INCLUYE MOTOR Y DESARMADOR DE CRUZ. REQUIERE UNA BATERIA R6/AA. NO INCLUIDA.